Caption slip reads: "Photographer: Lapp. Date: 1960-06-22. Reporter: Waymire. Assignment: Hot weather. 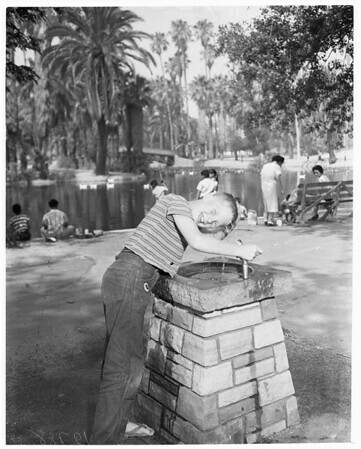 Dennis Clasen, 12, of 2433 Altman St., cools of at drinking fountain in Echo Park."